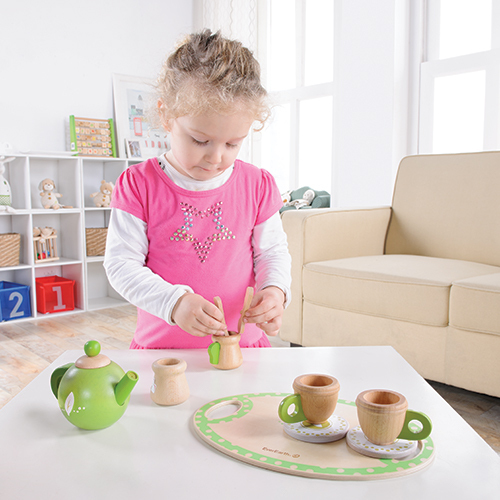 This delightful tea set is fit for high tea at noon, or at least pretend high tea. 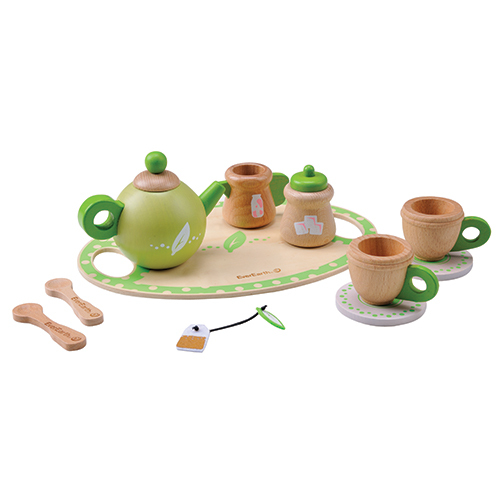 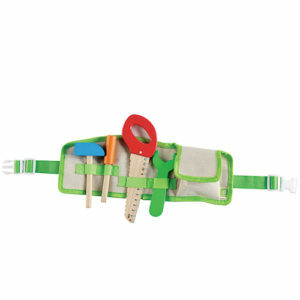 Comes with wooden tea pot, two tea cups, sugar and milk pots, two spoons, a pretend tea bag, and tea tray. 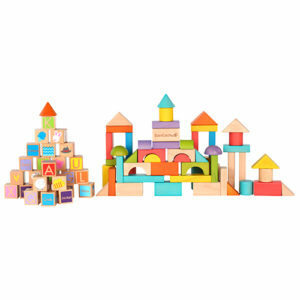 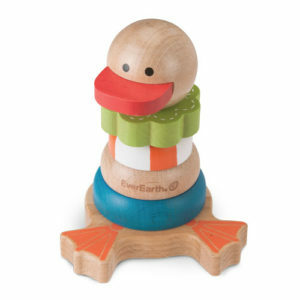 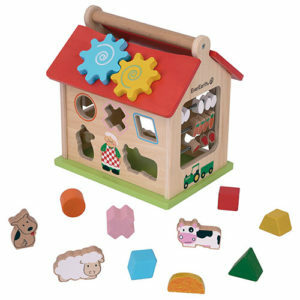 Made from FSC hardwood and colored with non-toxic water-based paint, you can feel assured that your child’s toy is safe, entertaining, and also sustainably made!